Overall highest score wins. No second place. * In the event of a tie breaker – Titan will host the tri-wizard tournament. You must have used Crack the Core Exam and/or the Boards Buster course. If you think you scored high enough to win – send Titan an Email with your official score (comes as a PDF). After a certain date (generally 10 days after the release of the scores) the highest reported score will then be verified by either your PD or coordinator. 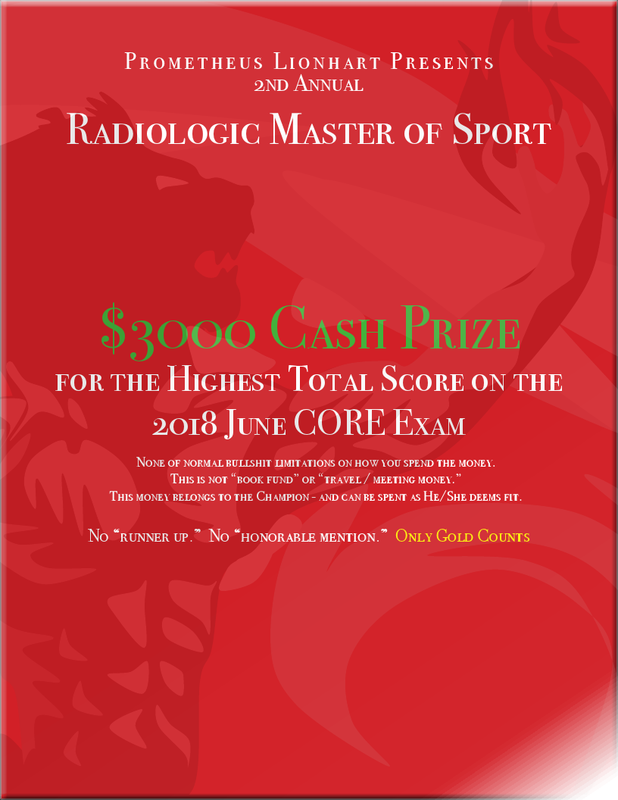 If you aren’t a dirty liar, and you had the highest score then I’ll send you your cash and trophy, request your t-shirt size, and put your name on the website to document your greatness for the annals of radiology history.